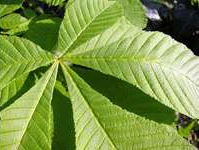 We reported in this blog back in May that Horse Chestnuts were under threat from the leaf miner moth (Cameraria ohridella) and the fungus (Guignardia aesculi). Not to mention the effects of drought! Now there is another, greater threat to these stately trees – namely Bleeding Canker. The first symptom is often an area of bark where a yellow / brown / red liquid seeps out. In the spring, this coloured fluid is usually transparent but in warmer weather it may become cloudy. When it is dry and hot, the flow may dry up - leaving a dark crust on the bark. However, the bleeding may start up again in the autumn. These observations have lead to the suggestion that the pathogen is most active when conditions are mild and moist (i.e. in spring and autumn). front page article in the Independent sought to raise public awareness of this issue. It was thought that Bleeding Canker was caused by a fungal pathogen, possibly a form of Phytophora. However, research in the UK and the Netherlands (where perhaps 1 in 3 trees are affected) now suggests that a bacterium may be responsible for the disease. The disease affects trees ranging in age from young saplings (10-15 years) to mature trees. Forestry Research Scientists have estimated that some 35,000 to 50,000 trees are already infected and the disease is quite widespread; just as the Elms were devastated by fungal disease in the 1970’s so Horse Chestnuts may be lost over the next decade. The Research Agency of the Forestry Commission is collecting information about the spread of the disease: further information and survey forms can be found at their website. Think the good growing season with no spring or summer drought will have helped combat the leaf minor. The leaf structure is very typical of a tree struggling to survive. Help the tree by making sure roots are not in compacted soil, perhaps feed, and how about this http://www.sherriffgrasscare.co.uk/products.aspx?pname=Horse-Chestnut-Leaf-Miner-Trap&prodid=209&catid=14&gclid=CPqKs_rwsrECFRMgtAodx3UADg ? See Chris comment 30th Aug above. I have a mature horse chestnut in my front garden; it has suffered from leaf miner infestation for 3 successive seasons. There is no sign of canker that I can see. This year, the leaf miner signs were later than previously (could it be to do with the wet summer so far?). However, there is marked die-back of twigs/smaller branches. Also the leaf growth is unusual in that there are mature leaves of medium size but also little sprigs of small pale green leaves , both present at the same time. The pale green leaves do not appear to be developing. Is this connected with the leaf miner infestation or is there another disease going on at the same time? First remedy for any ailing tree is to ensure the roots can breathe, if the soil is compacted there will be little gaseous exchange. Trees fighting infection need the best conditions, keep pedestrian traffic off the rooting area – same circumference as the canopy above, bore 2” or so holes in this area especially on the outer edge and fill with compost. Mixing a small amount of fertiliser will also help supplying the tree with extra food. And as others have recommended, burn the leaves although composting if done properly (must get hot enough) will also kill any infection in the leaves. Get professional advice from a qualified arboriculturist ! I’ve noticed the new sloe berries this year near Doncaster are distorted and curled up. Some of the leaves are ‘rusty’ and also curled up. I wonder whether this is related to the bacteria mentioned above. Yes, it is proving to be a particularly invasive species. One might have hoped that the very cold winter would have ensured the death of many, if not all pupae that over-winter. However, the only effect of the very low temperatures seems to be a slight slowing of its advance through the tree canopy this year – presumably the weather has affected the number of life cycles that it has been able to complete. Many horse chestnut trees in and around SE London are looking in a ‘very sad’ state. for raking dead leaves for the trashbin. My single Sweet Chestnut tree, about twelve years old, fruited for the first time two years ago. Last year the leaves were stunted,curled, and browning from the edges in. This year is similar, but the trunk base is going brown on one side. Noting that the soil surface had a dark, wet appearance I dug to investigate. Although having a clay based soil,this was unusually wet and slimey. The slighly rotton smell was,I think,due to some rotting bulbs. After a little rain, the pooled water looked a strong, dark brown. I’ve dug out the worst of the dodgey looking soil,leaving black roots that scratch to red. Is this typical of Bleeding Canker or is there anything I can do to help the tree before I replace the soil with something more breathable? We have two horse chestnut trees in our garden which budded as usual in the spring but then the buds went brown and turned to dust. The trees haven’t leafed and after leaving for a while have now completely died. There are no signs of canker, no leaf minor and no fungi. For a tree to die so quickly I thought it might be related to Sudden Death Oak. Does anyone know what might have caused this? Here in Glasgow leaf minor has been noticeable on trees for years now. This was first noticeable in 2007 on just a number of trees which were brown by early august. It is now affected most Horse Chestnuts and drive by parks and the brown blotches seen by mid July and leaf fall by August. Even today I seen leaves already turning brown and it’s mid May. There are some Horse Chestnuts though that stay green till at least early September but you need to find them. i have noticed the conker trees near me are full of fungi. My tree is in a pot and although it 16 is only 6ft, it developed the fungi and I washed it all down with anti-bacterial washing-up liquid; it’s cleared it and still no sign of it, the leaves stayed this year and are just starting to fall. It has never looked so healthy. I´ve noticed this thing with horse chestnuts for a few years now, and I thought it was drought as we sometimes have it, but then I saw it also happened in rainy summers, (this summer it has rained alot and the trees are already brown, some more than other) and also in England, and then I read on the web, it´s an illness, Does anybody know what to do? The trees look like Autumn, at the end of Summer, it´s a false Autumn, but in some cases also a False Spring, as some of the trees sprout new leaves with flowers! It´s so odd! I live in north Spain (Munguia, near Bilbao, Basque country). I planted two chestnut trees in the garden some 20 years ago simply to remind me of my happy youth in London. Last year the trees lost their leaves in early August. This year the same has occurred. I thought it was due to warm early spring weather. Yesterday, I was visited by friends from London and they explained to me that chestnut trees are suffering from a disease(s)and losing their leaves early in the United Kingdom. It would appear that the disease has reached northern Spain. There is a mature Horse Chestnut in the cemetery which we back on to. Last year it developed Leaf Miner which affected about one third of the tree, and this year it’s back but now covers three quarters of the tree. There aren’t just blotches, the whole leaf is completely brown and curled. East Sussex council has told us there’s nothing to worry about. However, it seems to me that some tree husbandry is long overdue from them. We put up a large children’s swimming pool five weeks ago which was great until the tree turned brown, now the pool is like soup with brown spores from the tree. Keeping it covered except to swim in, and cleaning every day with filters, nets and vacum, still doesn’t keep it at bay. Everything in the garden is also covered with the stuff. Can I get the council to do something? We in south west Scotland are seeing some strange changes to birdlife and trees. We are beginning to blame the multitude of radio masts, which have sprouted up on all the surrounding hills . We are now experiencing serious microwave pollution, which we have started to notice more and more. I also keep bees, which among many other forms of insects and mammals rely totally on radio waves from the sun to navigate .Basically, they have had “Tom Tom” for millions of years . This was proved without a doubt when we experienced a total eclipse of the sun some years back . When the sun disappeared and it got quite dark; there were thousands of bees littered on the lawn in a large fan like carpet in front of the hives as if totally dead . When the sun started to peep round, they all came back to life and were all back busy within half an hour.Now they struggle through the fog of radio waves to return to their hives . They also do not have a clear picture in their mind exactly where they have been foraging so they are having great difficulty communicating with the other bees when they return, via the bee dance which informs the other bees where they can find the best nectar (which is now resulting in much reduced honey crops) . To get back to trees, we are also seeing damage to all large leaved trees, mainly chestnut. The tops are all bare and sycamore leaves are turning brown and curling up by mid summer, sometimes large brown spots. Poplar trees are just falling over, again for no reason . There were also very few brambles last year which really caught our attention. The tiny fruit just shrivelled up as did haws, sloe berries and rowans. Oh and by the way, we have no house martins this year first time in 46 years and the local bats are getting quite scarce They also will have to develop a whole new navigation system. I would be interested to read any similar comments as to whats going on .